One of the biggest Apple Stores to open doors stateside, the one in New York's Grand Central, is still a work in progress, but the truly grand store is said to be ready on time for the Black Friday craze. Expectations are for a big opening in November as training has reportedly begun today at a hotel in Times Square and will continue until November 11th. Just like everything Apple, the details about the store are kept secret, behind a wall which Cupertino has purposefully erected to stop passers-by from peeking in. 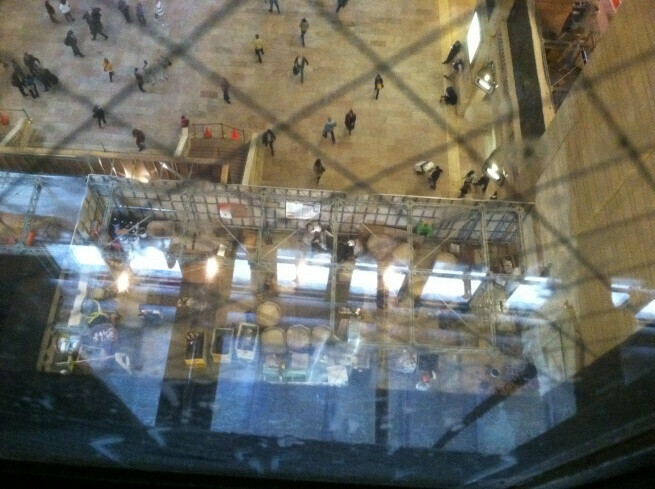 Still an MTA employee managed to shoot from above giving a quick look at the progress of works. What you can see on the picture is just a part of a much bigger construction. 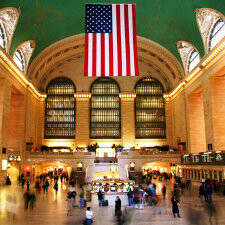 The store itself is expected to be slightly different than the rest of Apple Stores as it will be a mixture of the Beaux-Arts style of architecture of the Grand Central Terminal and the contemporary minimalist looks of Apple Stores. Their Black Friday prices will remove $1 from the price of all iProducts. I'm with you Synack, it's not like they're going to have a really good, can't miss sale. It'll be the same prices they were all year. 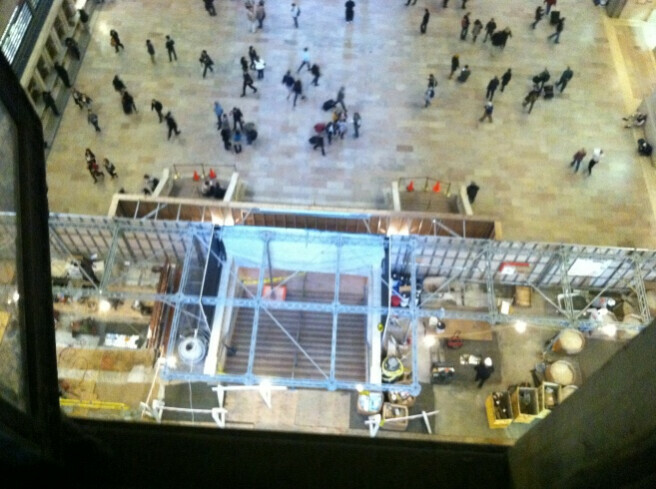 Grand central is busy enough as is and they're putting in an Apple store? Holy bejeebus, soon iphones will be the new impulse buy as people are on the way to work o_O "Hrm, my train doesn't arrive for another half hour, how about I go buy an ?" why the hell is it that every time I walk by an apple store there are a bunch of people just standing in there. It's not like their actually buying anything??? reminds me of that Futurama episode about apple brain washing everyone. My wife and I were walking through the Short Hills mall here in NJ yesterday and there were like 50 people waiting in line outside the Apple store to purchase the iPhone 4s. I was actually shocked that there was a line this far into the release! From a business point of view, you probably want your store to be crowded, but from what I've seen most people are in there playing with the devices and it's mostly kids and Apple dweebs. From a consumer point of view, unless I'm buying a phone on launch day or the Apple Store is the only place that is stocking an item I want, I'm not going to the Apple store. Can't stand the crowds. I'll be the first to the Verizon store for the Galaxy Nexus, that's for damn sure. i doubt you will have to worry about lines dude. Having worked at Verizon Stores for lesser phones launches like the Droid, Storm, and Voyager, there will likely be a crowd, whether there is a line or not before who knows, depends on the store, coonsidering some Verizon stores get lines before they open just normally I wouldn't rule it out. THat said, rather order it online. I think this is a horrible idea from a safety standpoint. I mean brilliant from a I want ot show how many zillions of people love Apple or whatever, but you're opening the biggest Apple Store in the world, in Grand Central Terminal, which yes is an active train station. The Crowds are gonna be insane.